The link will be added on your pedigree linking to your results and even more OFA health history! Trial software can be downloaded from each. Note: There are potentially MPS IIB carriers in all lines and all breeding animals should be tested. Also, the information is available in good faith from breeders and owners, and dogs without designations are not to be assumed clear, but that they have either not been tested or the owner/breeder chose to not share the information. The origin of the disease goes back many years and it is unknown when it first appeared. the dog must be a carrier if the other parent is clear and there are carrier offspring. Result Report from the test done at UPenn. and have been added at the owner's requests. Do not breed without testing the individual dogs first. There is a small error percentage of tests. Enter the name, or partial name, of the Schipperke to search for. For example, entering "Kelso" will find all Schipperkes whose names contain the string "Kelso". For an explanation of the resulting pedigree information click here. Last updated 4/9/2019. Not all photos have been updated. Photos emailed to me for upload should be high resolution as I will crop and format them to view just the dog. Click on the "Search Now" button below. This will begin the search. The database is quite large, so do not be alarmed if it takes a few seconds to see the list of matches. View the location and who uses it. or leave blank to view all. Disclaimer: Every effort has been made to enter information accurately. Data has come from many sources. It is not possible to maintain all titles on every dog. The information available at the time of entry is what was entered. If you have a dog that is not in the database and you would like it included, email me with the relevant information at klhnry@bonchien.com and it will be included in the next refresh. That goes for title updates too. Copyright © 1999 - 2015 Alfirin Technologies and Bonchien. All Rights Reserved. Data contained within the bonchien domain cannot be collected from this site by any automated method. Use of this site is for personal use of dog breeders and fanciers to view pedigree information and no one is allowed to re-use this data for financial gain directly or indirectly. 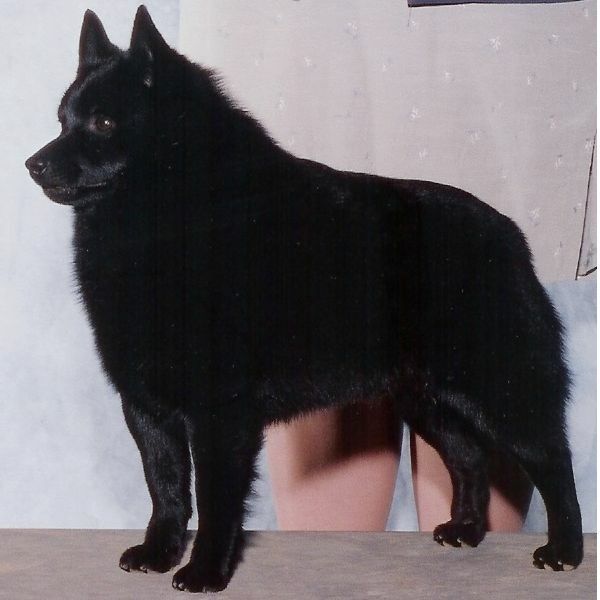 This is a 1927 article recently discovered on the history of the Schipperke!